What are Roof Replacement Cost Factors? Roofing contractors look at several variables to determine the price of a new roof, including its size, pitch, accessibility and cost of materials. Therefore, prices for a new roof can range drastically. square feet) area is equal to one roofing square. “For example, if we’re working on a roof that is 3,000 square feet, it’s broken down into 30 squares,” Allen says. 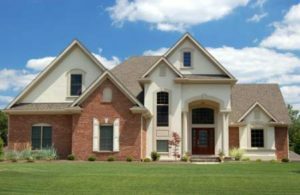 How Much is a Roof Replacement in Metro Phoenix? Roofing- Replacing a roof is one of the costliest upgrades a homeowner can make. Contractors in different regions charge different rates for roof replacement. In terms of a ballpark figure, though, Michael Allen, owner of Above It All Roofing in Irvine, California, says the average cost of a new roof runs as low as $5,000 for a basic asphalt shingle roof — the most commonly used roofing material in America — to $25,000 and up for higher-end roof types. The average price, he says, is $12,000 to replace an architectural shingle roof in his market. Calls to contractors across the country revealed that prices range from $4,500 to $10,000 to tear off and replace a roof with basic shingle in 2016. Prices can also vary greatly depending on where you live. Does Pitch or Slope Affect Price? The complexity of the roof design may require a little more extra materials. Contractors also charge more for installing shingles to complex roof designs. A large variable in pricing is the roof’s pitch or slope. Some roofs have a high pitch, while others have a low pitch or no pitch at all — all factors which affect the cost of the roofing project. Allen says a roof with a pitch of about a 7:12 ratio — the first number represents the height and the second the length — or higher isn’t walkable and may require extra safety harnesses and equipment. A 7:12 roof, for example, means that for every 12 inches it runs horizontally, the roof rises 7 inches vertically. Most roofers know that a roof of 7:12 or greater is a steep roof, and will charge more money The work just goes a lot slower with a steep roof. You can’t stack stuff on the roof and roofers have to wear harnesses. Consequently, roofers will charge more for pitches above 7:12 because of the difficulty and because the company pays more in insurance costs. Another factor is accessibility to the roof and the weight of the roof. If the roofing company cannot get their truck close to the house or cannot back up against the house, carrying the materials to their trucks will add time. Also, tearing off a heavier roof can also increase labor costs. How Much do Roofing Materials Cost? It costs from $1.20 to $4 a square foot to remove and replace the roof or $1,700 to $8,400 for a typical 1,700-2,100 square foot ranch-style home, with a gentle slope. The cost per square foot for a wood shingle roof is between $6.37 and $8.77. That equates to about $1,274 to $1,754 per 200 square feet (or for two squares). The cost and labor for an asphalt roof for a 1,200-square-foot house in larger markets across the country range between $4,100 and $6,000. Highly rated roofing contractors tell us that asphalt is the most affordable roofing option, followed by wood, metal, tile, and slate. Materials for a metal roof can cost upwards of $1,800 per 100 square feet. “You can pay twice as much for a metal roof compared to asphalt shingles, and as much as five times more for slate,” Hood says. While good asphalt shingles may last 30 or more years, metal, tile, and slate may last 50 or more years, which can play a role in determining the type you want. Be sure to discuss the cost of removing the old shingles and installation of new shingles. This price range can be wide. New contractors of smaller companies have a lower quotation than big companies. Beware of low bids because they may come from weekend warriors who lack liability insurance. Contractors without liability insurance may cause damages to the owner. The prices on the higher side come from well-established companies with higher overheads. Some companies hire sub-contractors to do the job. Remember, expensive does not always translate to high-quality work. Another factor that can affect the price is whether your home has chimneys or skylights. Having them can increase the cost of the project, as roofers must work around them. The cost of repairing flashing around the chimney can range from $200 to $500 while repairing it around the skylight can average between $300 and $500. You may be able to save money by overlaying an existing roof, instead of replacing it. However, doing so typically lowers the lifespan of the new roof and could void any warranty you’d expect on labor and shingle. How Much Do 3- Tab Shingles Cost? The average cost for a basic 3-tab, the 25-year shingle is $150 to $200 per square foot. 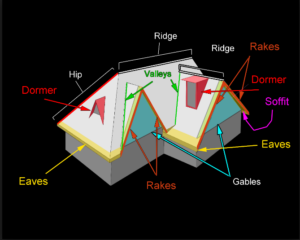 There are variations to the basic 3-tab shingle that may include ice-and-water shields, nails, ridge-vent, and roof flashing details. In some cases, the cost may include plywood, wood planks/boards, trash bags, tarp, permitting and ordering a dumpster. The cost ratio for installing a 3-tab shingle is 60% of the total cost. Dimensional shingles cost $225 to $300 to install. This is roughly $75 to $100 more than the basic 3-tab shingle. They cost a little bit more because they are thicker and last longer. How Much Do Premium Shingles Cost? The total cost of installing premium shingles range from $450 to $700 per square foot installed. The premium shingles materials can total $200 to $250 per square. This is on the higher side but it’s worth it. Before hiring a roofing company, the National Roofing Contractors Association recommends checking that its workers are licensed and insured. Ask to see a copy of the roofer’s proof of insurance. The contractor may also need to pull permits depending on where you live, which can add several hundred dollars to the project. A permit to repair a roof on a 1,350-square-foot home, for example, costs between $150 and $400. The roofer should also be aware of any local building codes, which could include the types of shingles allowed in a particular neighborhood or rules about underlay. Get several bids and don’t be swayed by price alone. Sometimes a bid that is too low could be a signal the company isn’t operating legally. Look at their online feedback to check on the company’s reputation. Many roofers offer guarantees for the work they do, which is often between five and ten years for their workmanship. This will typically cover leakage or total failure, but not general wear and tear or damage from hail or storms. Some companies offer 25-year warranties, but those typically apply to specific high-end roof products and require certain installation procedures. Even with the cost consideration, everyone wants to end up with a good looking roof. Shingles material makes for good roofing materials that have a wide range of prices. Shingles posses the features of affordability, durability and low maintenance compared to metal roofs or flat roofs. However, flat roofs tend to last for a decade at most while slope roof shingles are cheaper and can last up to 25-30 years.